Earlier, Hong & Cheng a.k.a. 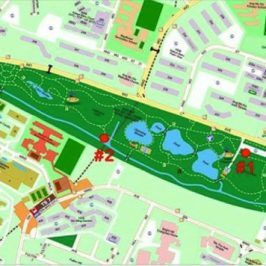 catspace posted an account of the Whiskered Treeswift (Hemiprocne comata) with images taken at the Johor’s Panti forest in Malaysia. 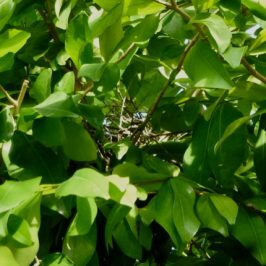 The fragile nest was shown attached to a low, slender horizontal branch that was bare of leaves. 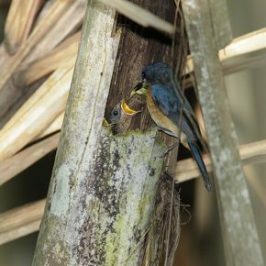 In early May 2010, Hong & Cheng returned from the same forest with much better images of the Whiskered Treeswift brooding a single chick. 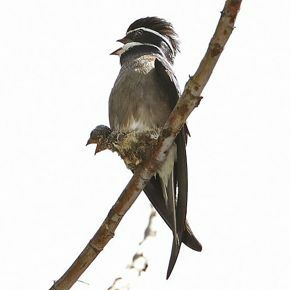 The delicate nest was about 5 metres up the tree, attached to a near-vertical slender branch, again leafless, with the half-saucer nest dangling from the side. 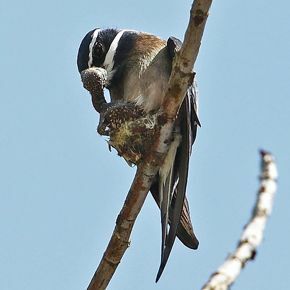 The photographers initially saw the treeswift on the branch. When they noticed something moving around the feet of the bird they suddenly realised that there was a chick in the nest. 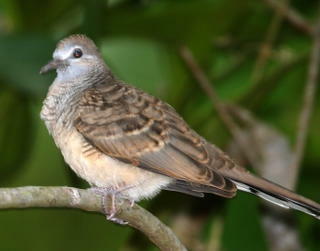 The blind and naked chick was covered with short white pin feathers that were beginning to sprout all over the its body. The adult was feeding the chick, which according to the photographers, was about thumb-sized. 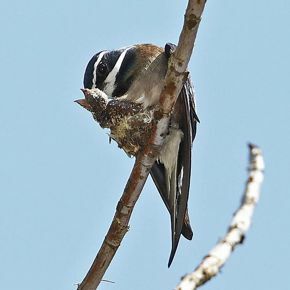 Treeswifts build their nests with hardened saliva, reinforced with feathers. They are just big enough to accommodate a single egg, stuck to the nest with saliva. Otherwise the egg would probably roll off the nest. 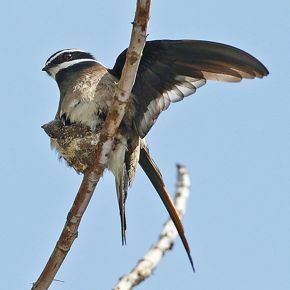 The incubating and brooding adult rests on the branch and not directly on the nest. 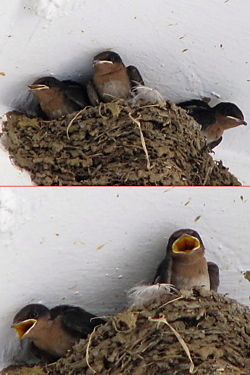 The nesting of the Grey-rumped Treeswift can be viewed HERE. 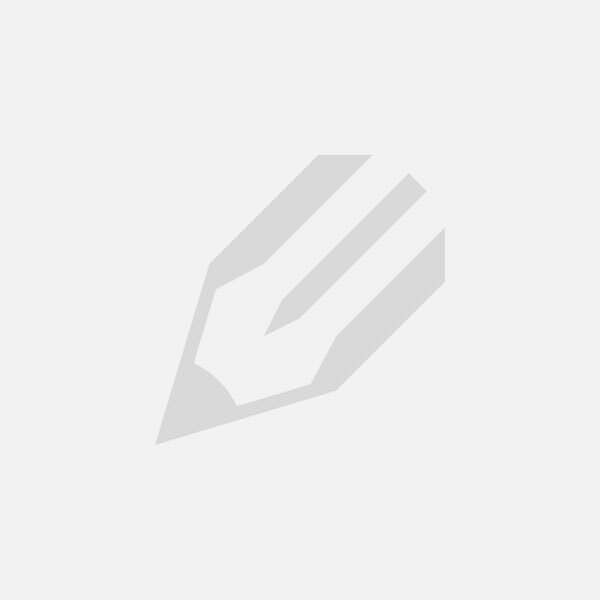 This post is a cooperative effort between NaturePixels.org and BESG to bring the study of bird behaviour through photography to a wider audience.